'Talking student engagement' is a series of occasional interviews with student engagement practitioners – both staff and students, and from within Scotland’s university and college sector and beyond. The interviews aim to capture the different perspectives that people have on student engagement in the quality of learning. We have a small number of future interviews scheduled, but are keen to hear of others who may have interesting perspectives on student engagement – whether a lecturer, course rep, senior student officer, education researcher, or other practitioner. To suggest a future subject for interview, please contact us. Mark is the Academic Development Coordinator at Glasgow School of Art. Megan is the Academic Engagement Co-ordinator at Edinburgh University Students’ Association (EUSA). Tom is the manager of the Centre for Student Engagement at the University of Winchester and Secretary for the international RAISE network. Ignas is a student at Vilnius University in Lithuania. Lucy is a Research Fellow at The University of Edinburgh’s Institute for Academic Development, on a six month fellowship from Australia. Stewart is one of sparqs’ new Associate Trainers for 2018-19 and a student at Edinburgh Napier University. William is a Quality and Enhancement Specialist with QAA Scotland. Gemma is the newly elected Deputy President of NUS Scotland for 2018-19. Oisin is Vice-President for Academic Affairs at the Union of Students in Ireland (USI). Meera is a lecturer and BA Programme Convenor in International Relations at SOAS University of London. Matt is the Vice-President (Education) at the University of Stirling Students’ Union and Student Theme Lead for the current QAA Enhancement Theme. Stewart is the Democratic Support & Policy Co-ordinator at Dundee University Students’ Association. Kerry is the President (Education and Welfare) of Robert Gordon University Students’ Union. Cathy is a Senior Lecturer in Student Engagement at The University of Edinburgh’s Institute for Academic Development. Josh is the Regional President of the Students’ Association at North East Scotland College. Rachael is a Community Skills student at Fife College’s ASPIRE Centre (Additional Support Programmes In Real Environments). Jim is the Chief Executive of the College Development Network. Kat is a a Student Engagement Assistant with the Highlands and Islands Students’ Association, the students’ association of the University of the Highlands and Islands. Dale is the former Education Officer and Deputy President for 2016-17 at Trinity College Dublin Students' Union in Ireland. Raziya is the Development Director at Khazar University in Baku, Azerbaijan. Jodie is the incoming Vice-President (Education) of NUS Scotland for 2017-18, having been a Vice President at Glasgow Caledonian University for the past two academic years. Simon is the Director of Student Engagement at The Quality Assurance Commons for Higher and Postsecondary Education based in Oakland, California, which has been established to explore new ideas in quality assurance. Gohar is the International Officer with the Armenian National Students’ Association (ANSA), and a Masters student in insurance at the Armenian State University of Economics. Greg is a senior lecturer in the Faculty of Social Sciences (Education) at University of Stirling. Dougie is a Students’ Association Liaison Officer at City of Glasgow College. Natalie is a lecturer and project manager for the online Masters in Education at the University of Glasgow, and a former sparqs Associate Trainer. Sally is a law professor at the University of Technology Sydney UTS), and an Australian Learning and Teaching National Senior Fellow. Cat is the Co-ordinator of the new pilot National Student Engagement Programme in Ireland. Chris is the Vice-President for the School of Engineering and Built Environment at Glasgow Caledonian University Students’ Association. Jane is a programme leader at Queen Margaret University. Lindsay is the Quality and Learner Engagement Co-ordinator at North Highland College UHI. Paul is the Director of Student Support and Involvement at the University of Manchester Students’ Union. Ian is a Business Analyst in the Student Systems Unit at Heriot-Watt University. Iain and Mary work in the Students’ Office at the University of the West of Scotland. Ruth is the President of the Open University Students' Association. Libby is the Associate Head of School at Gray’s School of Art, at The Robert Gordon University. Iain is the Dean of Students at the University of the Highlands and Islands. Jasmin is Organisational Learning Co-ordinator at Forth Valley College. Rebecca is a student engagement researcher and practitioner who has recently completed a thesis on transnational student engagement. Tam is Scotland's Commissioner for Children and Young People. Rob is the newly elected Vice President (Education) at NUS Scotland for 2015-16. Dash served as sabbatical Vice-President (Academic Affairs) at Edinburgh University Students’ Association during 2014-15. Shona is chief executive of Colleges Scotland, the campaigning and policy membership organisation for the college sector. Celeste is the Subject Specialist for Teaching, Learning and Assessment at Jisc. Amy is the Students' Association Development Officer at Borders College. Hannele is the Quality Manager at the Lapland University of Applied Sciences (UAS) in Finland. Myra is Head of Student Services at Edinburgh College. Phil is Chief Executive of Otago Polytechnic in New Zealand. Mark is Director of Academic Strategy and Professor of Teaching and Research in Environmental Biology at Edinburgh Napier University. Morven is a sparqs Associate Trainer and a fourth-year student at Glasgow School of Art. An interview with Alice Coleman, Davide Castro and Dan Derricott on the university's approach to student engagement. Ondrej is Director of Representation at the University of St Andrews Students' Association for academic year 2014-15. Stewart was deputy head at Anderson High School in Lerwick, and is the founder of The Global Classroom, an international partnership that allows staff and students at secondary schools across the world to share experiences on learning and teaching. 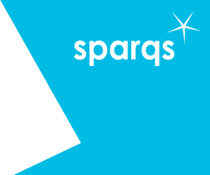 #sparqs19 Conference and Awards round-up! Open for registration – Academic Rep Co-ordinators’ Network meeting on 7th May 2019! How Good Is Our College?